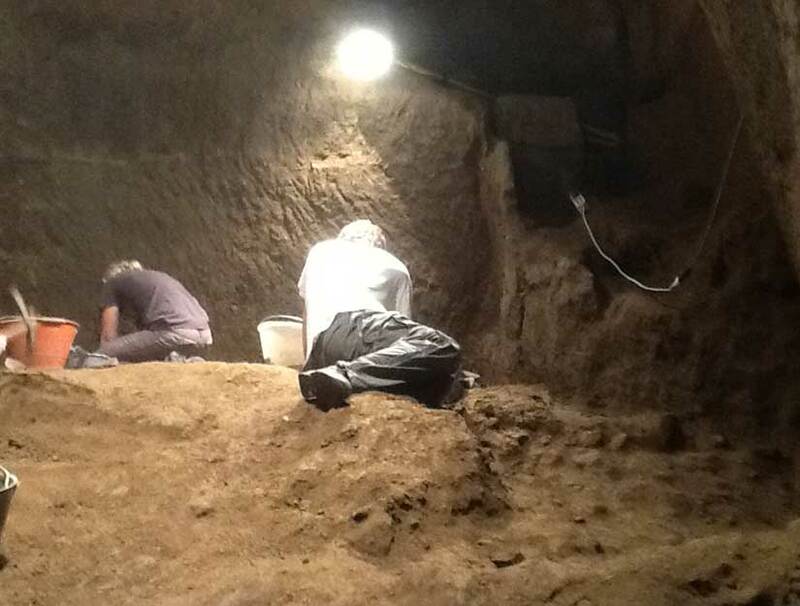 As they started digging, George and co-director of the excavation Claudio Bizzarri of the Parco Archeologico Ambientale dell'Orvietano noted that the cave's walls were tapered up in a pyramidal fashion. Intriguingly, a series of tunnels, again of Etruscan construction, ran underneath the wine cellar hinting to the possibility of deeper undiscovered structures below. "Below that material there was a brown layer that we are currently excavating. Intriguingly, the stone carved stairs run down the wall as we continue digging. We still don't know where they are going to take us," Bizzarri told Discovery News. "At this level we found a tunnel running to another pyramidal structure and dating from before the 5th century B.C. which adds to the mystery," George said. Indeed, the Etruscans have long been considered one of antiquity's greatest enigmas. "The caves have indeed a shape unknown elsewhere in Etruria," Larissa Bonfante, professor emerita of classics at New York University and a leading expert on the ancient Etruscans, told Discovery News. "Most likely, the answer waits at the bottom. The problem is we don't really know how much we have to dig to get down there," Bizzarri said.